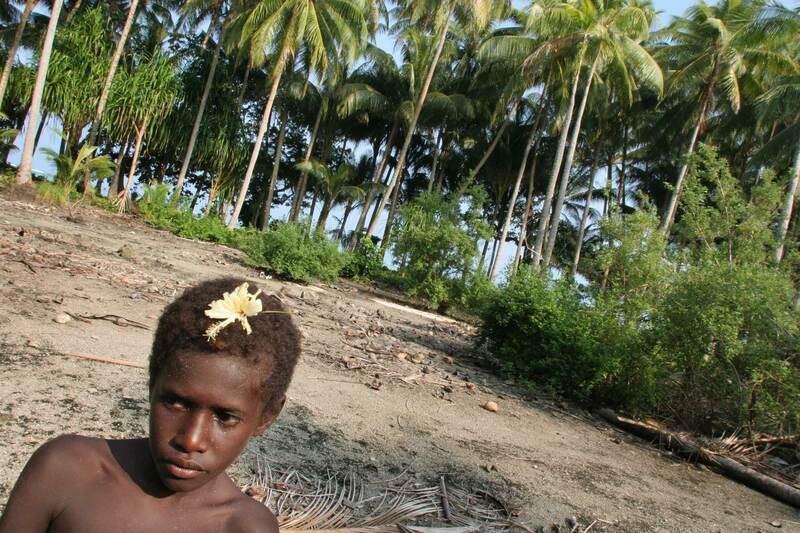 A child with a flower in his hair, in the "garden", an area formerly used for growing crops, but now barren and destroyed by salt sea water waves, on Puil Island, Carteret Atoll, Papua New Guinea, on Sunday. Rising sea levels have eroded much of the coastlines of the low lying Carteret islands (situated 80km from Bougainville island, in the South Pacific), and waves have crashed over the islands flooding and destroying what little crop gardens the islanders have. Food is in short supply, banana and swamp taro crops are failing due to the salt contamination of the land, and the islanders live on a meagre one meal per day diet of fish and coconut. There is talk by the Autonomous Region of Bougainville government to relocate the Carteret Islanders to Bougainville island, but this plan is stalled due to a lack of finances, resources, land and coordination.